Big vertical—Forget measuring vertical drop in hundreds of feet, as many East Coast areas do. Out west the plunges are measures in thousands of feet. Stunning scenery—Snow-capped, craggy mountain ranges; glaciers; sweeping vistas across forested valleys; snow drifts piled to the rafters… When you think of an idyllic winter wonderland, the West delivers. Ample Altitude—In the West, base area elevations typically start higher than the summits of East Coast ski areas. For thin, crisp air (minus the bone-chilling East Coast “damp cold”) and reliably snowy conditions, go west. Sublime Snow—The East Coast’s reputation for icy runs aside, from knee deep powder to freshly groomed corduroy, there really is something different about the snow in the West. 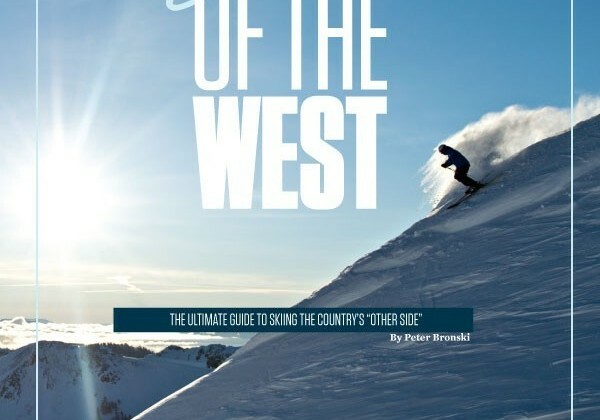 There are a little more than two months left of the winter ski season, capture a piece of it at one of our four picks for the Best of the West, start planning! 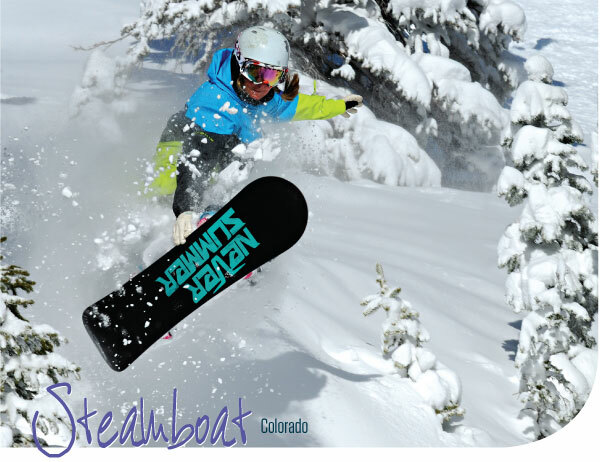 Steamboat Springs calls itself Ski Town USA and it backs up the boast. A lot of places claim to have blower-light powder; Steamboat has scientific proof. In the Rockies 15 inches of fresh snow usually equals 1 inch of melted water. But earlier this season, meteorologists measured a snow-water equivalent of 25 to 1 after a big Steamboat storm. Translation: For the same amount of water you get 10 extra inches of airy, light fluff. That’s the trademark “champagne powder” for which the mountain is known. 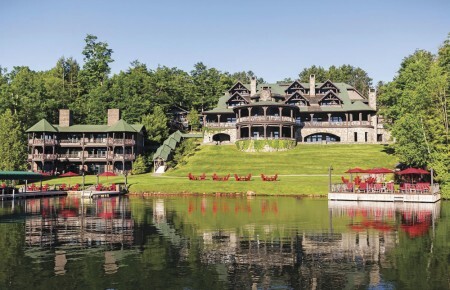 The resort—which spans Mt. Werner, Storm Peak and Sunshine Peak—holds that powder in its famous glades. To sample what Steamboat has to offer, make your way to Morningside Park, a gladed bowl on the southeast-facing backside of the range. Its runs are shorter, but they’re less crowded and hold the best snow. Insiders can ski laps here to their hearts’ content, and only then head for the resort’s front side. When skiers’ legs have turned to jelly from run after relentless run, many refuel at Café Diva. Located in Torian Plum Plaza in the base area village, this spot serves local favorites like elk tenderloin in cabernet demi-glace. To get away from the mountain, folks make their way to Lincoln Avenue, Steamboat Springs’ main drag, to check out the Mahogany Ridge Brewery & Grill. This hot spot is packed nightly with skiers and locals alike, drawn in by the restaurant’s signature dipping entrées. Proteins such as Yucatan pork tenderloin and adobo Colorado lamb are paired with a selection of dipping sauces like chipotle aioli and smoked tomato demi-glace. By far the best way to enjoy a stay in Steamboat is at one of the many luxurious rental condos and homes around the mountain base. (Accommodations on the quieter streets off Mt. Werner and Walnut Creek roads are a favorite.) These rooms leave you practically slopeside, but downtown is also just a five-minute drive away. To round out the accommodations, skip the on-mountain spa options and follow the locals to nearby Strawberry Park Hot Springs—a natural outdoor hot spring with 104-degree water set in the forest along Hot Springs Creek. Strawberry Park offers massage, aquatherapy and other comforts to complement a soak in the mineral waters. With no foothills between the Snake River valley below and the lofty summits of the Teton mountain range above, the vertical relief at Jackson Hole is staggering; a fact legendary photographer Ansel Adams captured in his famous work “The Tetons and the Snake River.” Located just south of Grand Teton National Park in northwest Wyoming, Jackson Hole offers some of the most varied terrain of any resort in North America. This is one of the main reasons it has been ranked the number one overall resort by SKI Magazine. Like Steamboat, Jackson Hole is known for powder, but it also boasts some serious steeps. A bucket list run and rite of passage for any expert skier is Corbet’s Couloir; it’s a must visit, even if many skiers just take a look and turn around. Located directly below the famous Jackson Hole aerial tram, this fearsome run attracts far more gawkers than actual skiers. It has been called both the steepest in-bounds run in the world and the hardest trail in North America. The US Ski Mountaineering Association’s race includes this run and participants who ascend Corbet exit at the top by climbing a ladder. It’s that steep. The Mangy Moose Restaurant and Saloon in Teton Village is the place to go for the (raucous) après-ski scene. It’s been a Jackson Hole institution for nearly five decades, earning a nod from Forbes as one of the 10 hottest après-ski bars in the world. Try one of the Saloon’s signature spicy margaritas (kicked up with jalapeño-infused tequila) to warm your insides. The town of Jackson, 12 miles southeast of Teton, offers eclectic dining options from sushi to Mexican to new American, as well as the option to see a “real” Western town. (Portions of the main drag still boast a wooden boardwalk.) One highlight is the impressive elk antler arches in the town square. Each of four arches contains about 2,000 antlers, mostly harvested from the nearby National Elk Refuge after they’ve been shed. Teton Village offers no shortage of high-end lodging options—Snake River Lodge & Spa, Teton Mountain Lodge & Spa and the Four Seasons Jackson Hole are clustered around the base of the tram and each offer their own take on rustic-meets-upscale. 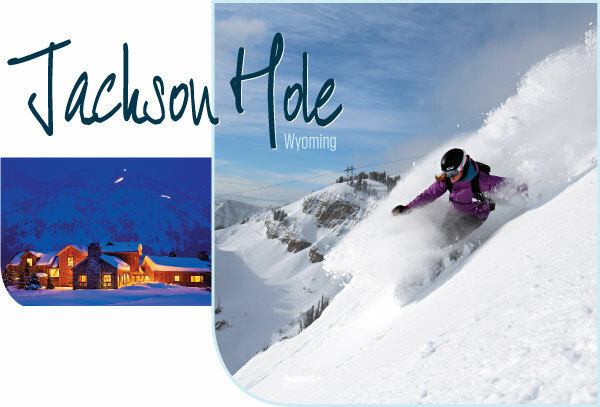 Here’s a tip: Skiing deep powder like Jackson Hole’s 38 feet of snow per year is best on true powder skis—reserve a powder package through Ski Butlers, who will deliver a full kit right to your chosen accommodations. Crystal clear, vibrantly blue Lake Tahoe has more than a dozen ski areas encircling its waters. Our pick of the litter is Squaw Valley—one of only three US winter Olympics locations. Today, that Olympic history is alive and well, with runs named for local Olympians like Jonny Moseley and Julia Mancuso. Squaw comprises six mountains along the spine of the Sierra Nevadas. There are 16 bowls nestled in among them, which means an incredible magnitude of terrain. Something that’s uniquely Squaw: It’s the ski lift, rather than run, that gets a lot of the attention. At Squaw, the lift known as KT-22 serves some seriously awesome expert terrain. It carries skiers up and over a steep cliff band and deposits them on the impressively narrow ridgeline next to an imposing summit formerly known as Eagle’s Nest (recently renamed McConkey’s in memory of extreme skier Shane McConkey). Tip: If it’s a major powder day and the resort needs to do avalanche control work on the higher reaches, or if it’s so windy other lifts are closed, line up here early to score fresh tracks. Hit up the runs named Women’s Downhill and GS Bowl to ski the same slopes that challenged the women and men, respectively, in the 1960 Olympics. Either rejoice or roll your eyes, but Squaw now has the world’s first ski in/ski out Starbucks in the Gold Coast Lodge between Squaw Peak and Emigrant. This convenient café allows customers to order and enjoy lattes without ever removing their skis. Of course, while a coffee may warm them up, it won’t satisfy their hunger. 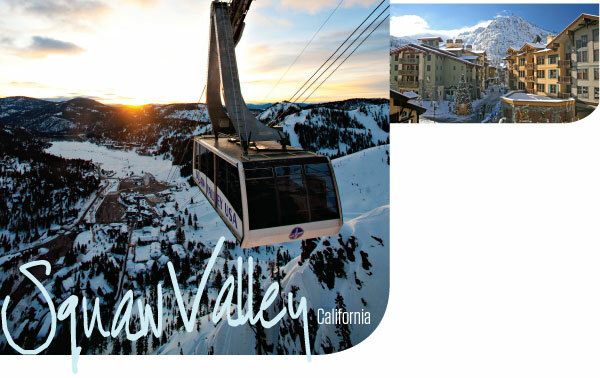 Between on-mountain options and the base area’s Village at Squaw Valley there are more than 30 dining establishments. However, for the après-ski crowd, there’s only one real choice: Le Chamois. This restaurant-bar has been around since 1969, and it’s such a local institution that when Squaw unveiled a proposed major overhaul in 2013, only one thing remained unchanged: “The Chammy,” as regulars call it. Visitors seeking to escape the crowds at the Village usually head into nearby Truckee—a small mountain town steeped in pioneer lore. Its historic downtown is a nod to an earlier era and gives it a welcoming authenticity that lakeside towns like Tahoe City and South Lake Tahoe lack. In Truckee, the Zagat-rated Moody’s Bistro, Bar & Beats serves a locally-sourced menu to the accompaniment of jazz music. Literally every slopeside condo in the Village at Squaw Valley has been renovated for this season—an effort that cost $2.7 million. Also nice is the luxurious Resort at Squaw Creek nearby, which is served by a dedicated lift from which you can start your day. For the best taste of the big mountain experience, Mt. 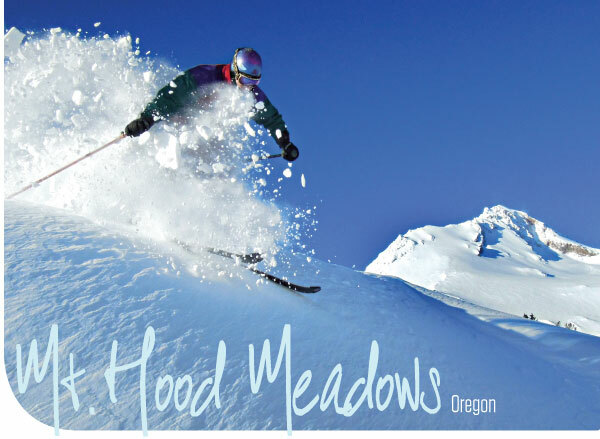 Hood Meadows is the way to go. From the top of the Cascade Express lift, dedicated adventurers can hike to the top of the double black Super Bowl to log almost a vertical mile in one continuous run. (Those in the know bring a pack or a sling to comfortably carry their skis on their backs, rather than hauling them over their shoulders, which is more tiring). For those who like to cruise corduroy, the intermediate runs right off the Cascade Express are perfect. For powder hounds, Heather Canyon is the place to be. The après-ski scene at Hood centers on the historic enclave of Government Camp just off US 26. The Pacific Northwest is known for its hoppy craft brews and the Mt. Hood Brewing Company’s Ice Axe IPA is a regional favorite. This area is also in wine country and Willamette Valley and Columbia Gorge are local wine list standouts. Elegant dining is also an option at the Timberline Lodge’s Cascade Dining Room—a mountaintop restaurant whose façade was used in the 1980s film The Shining. Its menu places a heavy emphasis on seasonal, regional foods like Columbia River salmon, Oregon-ranched grass-fed beef and even matsutake mushrooms foraged from the lower slopes of Mt. Hood itself. Mt. Hood’s ski areas offer some slopeside lodging, including the 1930s-era Timberline Lodge (a national historic landmark). Also, just minutes away in Government Camp, Collins Lake Resort is set in an evergreen forest with a view of Hood’s snow-capped summit. Natural finishes with wood and Cascade Mountain stone in the resort’s Grand Lodges strike a blend of contemporary and rustic mountain elegance.